50 easy to follow healthy recipes with clear, short step-by-step instructions and gorgeous images which will have children cooking with confidence in no time. Children will learn how to chop, mix, and stir their way to kitchen magic and put their skills to good use making a mixture of tasty savoury and sweet dishes using few - and easy to get hold of - ingredients. 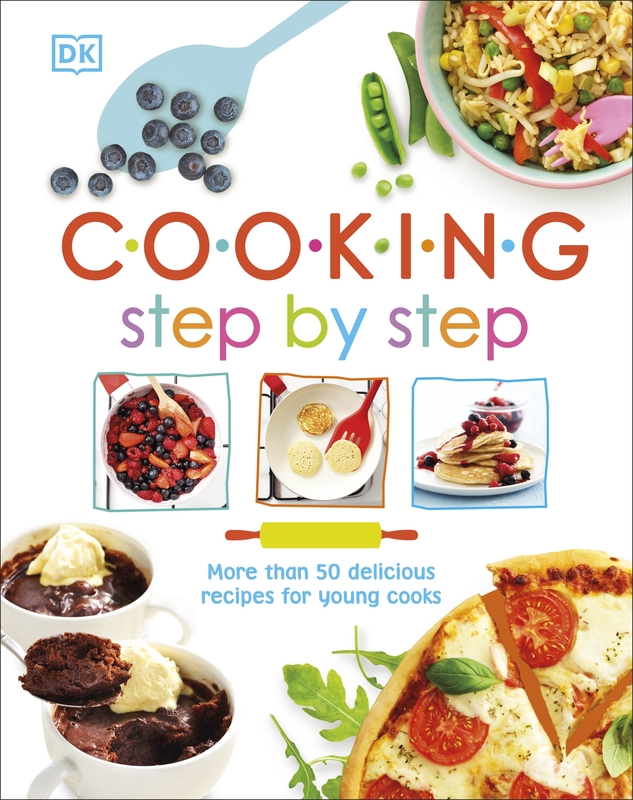 From soups and toasties to macaroni and cheese and banana bread, All New Children's Step by Step Cookbook is packed with 50 mouth-watering recipes that are easy to make, and will get kids into cooking and baking. Plus they will love eating their fresh, healthy and delicious creations! In addition, children will learn tips and shortcuts, such as peeling ginger with a teaspoon so you don't waste any, and get to grips with cookery terms and kitchen fundamentals - all while having a great time making simple snacks, balanced meals, and sweet treats. Love Cooking Step By Step? Subscribe to Read More to find out about similar books.